Toomas “Topi” Heikkinen was practically unstoppable in the 2013 Global RallyCross season, winning 5 races in a row, grabbing 3 other podiums and posting a worst finish of 4th en route to a landslide driver’s championship. 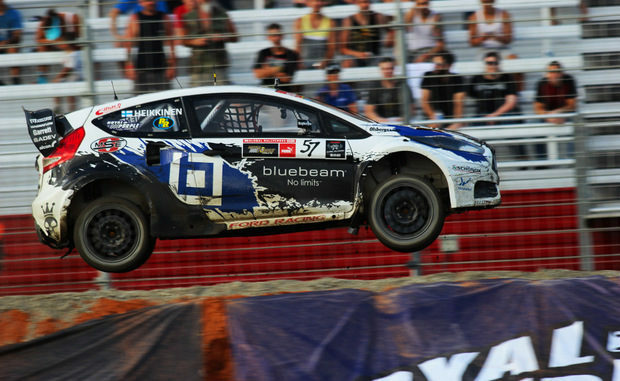 After an injury curbed him for the 2012 season, his success in the 2013 season suggested that a new superstar would emerge in the world of Global RallyCross during the 2014 season in his OlsbergsMSE Ford Fiesta. Unfortunately for Ford Racing fans, Topi stunned the rally racing world when he announced that he would turn his attention to the newly formed World RallyCross (WRX) association with Marklund Motorsports in a new Volkswagen Polo race car. At first, it was unclear whether Heikkinen would split time between his Ford ride in the GRC and his VW ride in the WRX or if he would be strictly a VW guy but a newer announcement from his former team with a new driver filling Topi’s shoes has made it all but official that Heikkinen will no longer race the GRC in a Ford Fiesta. What we know for sure right now is that Topi Heikkinen will compete alongside Anton Marklund in a pair of new Marklund Motorsports Volkswagen Polo rally cars in the new FIA World RallyCross series. Topi and Anton will make 12 stops around the world (all outside of the US) for the new WRX series along with a planned stop at the X Games this summer in Austin Texas where he will duke it out with many of the same drivers whom he dominated in 2013. However, Topi dominated the rallycross world in 2013 behind the wheel of the uber successful Ford Fiesta while the VW teams which competed in the 2013 GRC schedule were far less successful. Topi has the skills – it just stands to be proven whether or not the new VW Polo can keep up with the new Ford Fiesta on the track. Filling Topi Heikkinen’s massive shoes with the OlsbergsMSE Ford Fiesta team will be Joni Wiman. 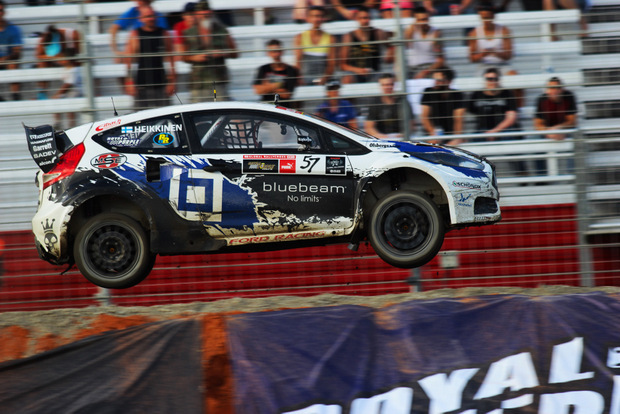 Wiman had a successful 2013 season in the GRC Lite ranks and along with Topi’s former teammate Patrik Sandell, Wiman will look to continue the winning ways of the OlsbergsMSE team from 2013. Fortunately for OMSE, they won’t need to rely too heavily on Topi’s replacement with drivers like Tanner Foust and Brian Deegan joining Sandell and Wiman. As an interesting twist, Topi will be competing against his former team in the World RallyCross championship throughout Europe with Andreas Bakkerud and Reinis Nitišs handling the driving duties of the OMSE-prepped Ford Fiesta ST in the newly formed WRX series. The Global RallyCross folks haven’t announced their schedule for 2014 but the World RallyCross Championship has and the first event is set to take place in Portugal in early May – at which point we will see if it was Topi that was winning all of those GRC races last year or if it was the dominance of the Ford Fiesta ST.